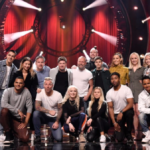 As the discussions within the Swedish broadcaster , SVT continue and shortly we will find out the 28 acts that will compete in Melodifestivalen 2019, newspaper Aftonbladet reports another set of 5 acts which seem to be participating in the forthcoming Melodifestivalen. This artist is 86 years old and participated in Melodifestivalen 1969 with the song Hej Clown, which almost won. He returns after 50 years declaring it not as a comeback but entertainment. 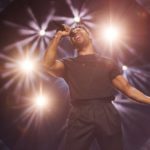 Anton managed to beat Loreen in the Second chance round of Melodifestivalen 2017 with his song Kiss You Goodbye. Although last year he didn’t participate it seems that we will see him in the 2019 edition. He is only 15 years old and not known from any activity apart from some covers of hits. Known for his comedy acts on YouTube has released recently PrankStar. 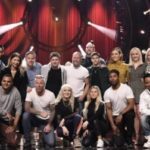 According to Aftonbladet he intends to make his debut with an up-tempo song. 76 year old Ann-Louise will make true her 14th participation in Melodifestivalen breaking all records. Her last participation was in 2004 alongside with Towa Carson and Siw Malmkvist with their entry C’ est La Vie. Is there a specific act that you would like to see in the forthcoming Melodifestivalen?